Often it is a great source of anxiety for a parent to see their child undergo general anesthesia. Certainly it is best to avoid the situation by practicing preventative dentistry and catching all cavities early, but some children under the age of 5, who are prone to decay with multiple cavities involving the nerves, will benefit more from general anesthesia. We perform this procedure on average once a month, and have never experienced any adverse effects. What conditions warrant extensive treatment on baby teeth? Some children present extensive bottle caries, which is caused by pooling of milk around the teeth when fed with a bottle right before bedtime. Unfortunately we have noticed a similar condition in children who are nursed excessively prior to going to sleep and even in the middle of the night. The mother’s milk will pool around the teeth and ferment, nourishing the decay-causing strep mutans bacteria. Another condition causing extensive decay is enamel hypoplasia, which involves most of the primary teeth. It is characterized by a weakness or partial absence of the outer enamel shell of the baby teeth, which are consequently attacked from all sides by bacteria. This may be hereditary, or may have been caused by a period of stress during pregnancy, as these teeth were forming in the fetus. What are the advantages of putting a child to sleep? If properly carried out the incidence of a life-threatening event during IV sedation is not much higher than that associated with repetitive administration of a local anesthetic, or nitrous oxide. 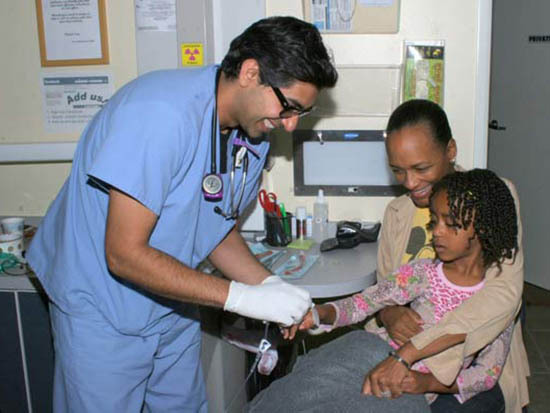 We employ the services of an excellent anesthesiologist who specializes in childrens’ anesthesia, Dr. Salman Hussain, DMD. As the level of anesthesia is not very deep in dentistry, breathing is not suppressed, and the child will come to within 5-10 minutes after completion of the procedure. The sum of all local anesthetic injections over many appointments could be more toxic to the liver than a single load of IV anesthesia. 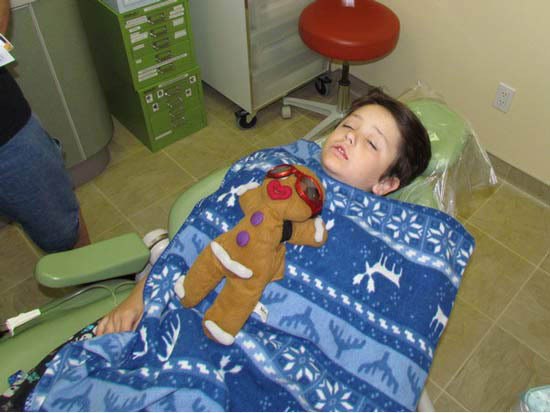 Anxiety, discomfort or fear involved with such major procedures including pulpotomies or root canals simply cannot be avoided unless the child is sedated. Quality of work can be significantly superior when performed under IV sedation, particularly in complicated procedures such as pulpotomies, bonded white restorations and metal-free primary tooth crowns. We make sure to address EVERY issue in the mouth so the child will not need dental treatment other than minor maintenance for the next few years. Deep grooves will be sealed, teeth will be bonded and even built up. The younger the child, the higher the risks. Ages 3 and above are considered relatively safe. The shorter the procedure, the better it is for the child. 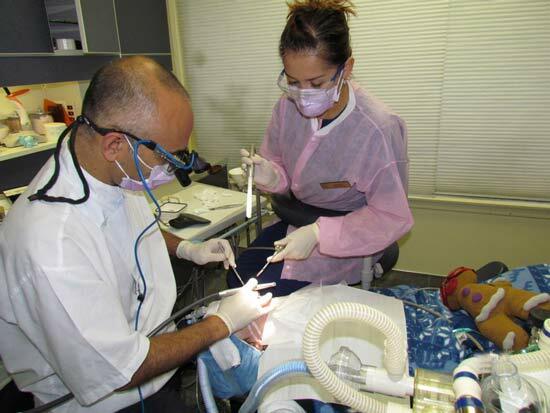 We work efficiently to complete all procedures in the minimum time required. Due to the nature of I.V. sedation, most complications are easily handled by the anesthesiologist, who is fully equipped with monitoring and resuscitation equipment. Every second of his time is spent monitoring the breathing and other vital signs of the child. The presence of an I.V. line ensures that all conditions are addressed immediately and reversed with the appropriate medication. We require you to arrive at the office at least half an hour before the appointment. The procedure usually lasts 1-2 hours on average. Some advanced cases go well over that time frame. It may take more than half an hour after the end of the procedure for the anesthesiologist to clear the child to go home. Will my child be able to function on the same day? Most children will be able to drink and eat an hour after the procedure. They will generally be sleepy but will function normally. We do not recommend outings on the same day. What can we do to hasten the child’s recovery? In our office, we give nutritional and homeopathic suggestions starting a week before the sedation appointment, in order to boost the child’s nervous system, immune system, and detoxification pathways. Other remedies may be suggested to be taken for up to two months after the appointment to regenerate and detoxify the affected tissues. Will the parent be allowed in the treatment room? The parent is allowed to be with the child until pre-sedation. As monitoring lines are placed, the parent has to leave the room. 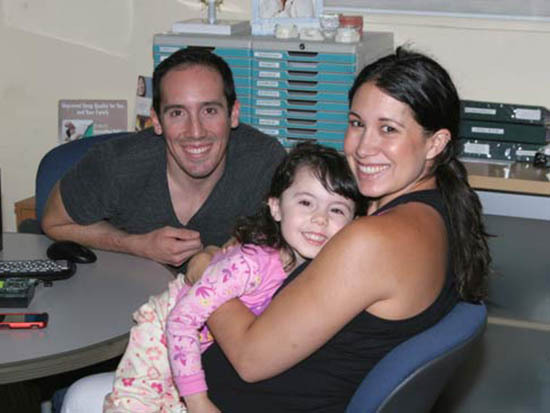 A few minutes after the child wakes up, they join their parents in a recovery room and spend another half hour there until they are cleared to leave. The anesthesiologist will contact the child’s parents well before the procedure and address all queries and concerns. Generally it will take at least a few days to coordinate our schedule with that of the anesthesiologist. A down-payment is required to reserve the time and the service call of the anesthesiologist, which is non-refundable if the appointment is cancelled within 48 hours. To read more please review his information and instructions in Dr. Yagiela’s article about the sedation procedure.